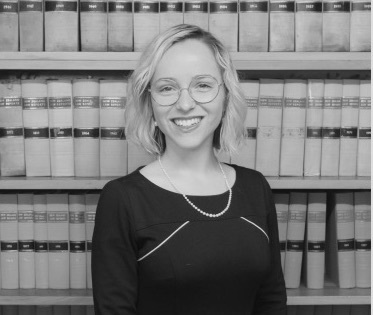 After completing her Bachelor of Laws at Otago University Hilary started her career in sunny Nelson before pursuing international experience in Queensland. After spending two years practicing in a busy inner city Brisbane law firm, Hilary is pleased to be back in beautiful Nelson. Hilary is a litigation lawyer practicing in all areas of dispute resolution. Hilary has experience in dealing with litigation, court proceedings, appeals and alternative dispute resolution processes. She has experience practicing in tribunals and courts of New Zealand, Queensland, and the Australian Federal jurisdiction. Hilary practices in civil litigation, employment matters, trust matters, wills and powers of attorney, leases, commercial, conveyancing and estate administration. Hilary’s objective is to be a robust but ethical advocate with a view of resolving her clients’ disputes as effectively and efficiently as possible. Outside of the office, Hilary enjoys playing music with friends; skiing and enjoying the outdoor life Nelson has to offer.